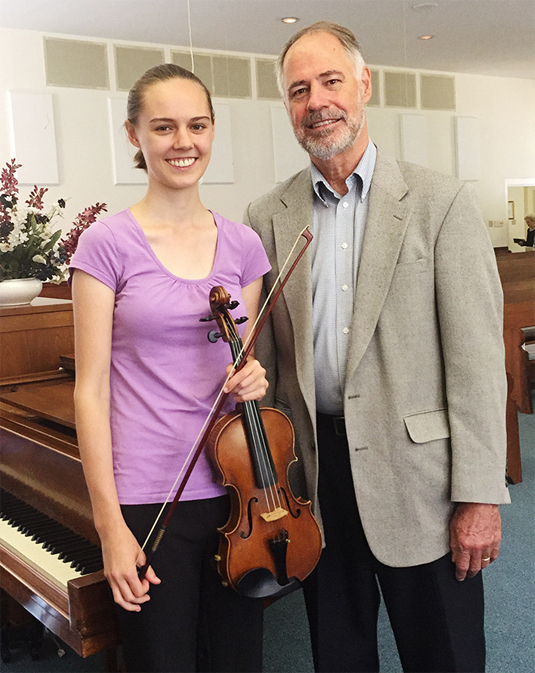 Violinist Chloe Lindeman grew up in the Meeting. She is often accompanied by her father, Tim Lindeman. Music has a major role in semi-programmed worship. 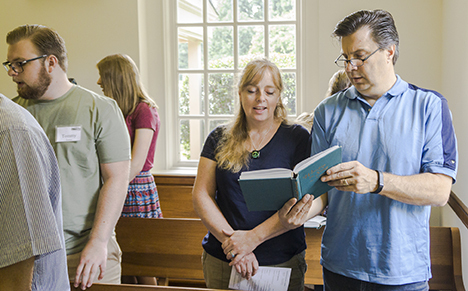 The New Garden choir, directed by Marc Alley, regularly uplifts Friends gathered for worship. Guest musicians as well as vocal soloists also frequently visit. Members and attenders are fortunate to include a variety of talented professionals and musical enthusiasts who freely share their gifts. Young Friends also provide music, vocal as well as instrumental. There’s also a children’s choir. On any given Sunday, music may range from the communal singing of a well-known Protestant hymn, to an African American spiritual, to a solo sung in Hebrew, to a Pete Seeger anthem. 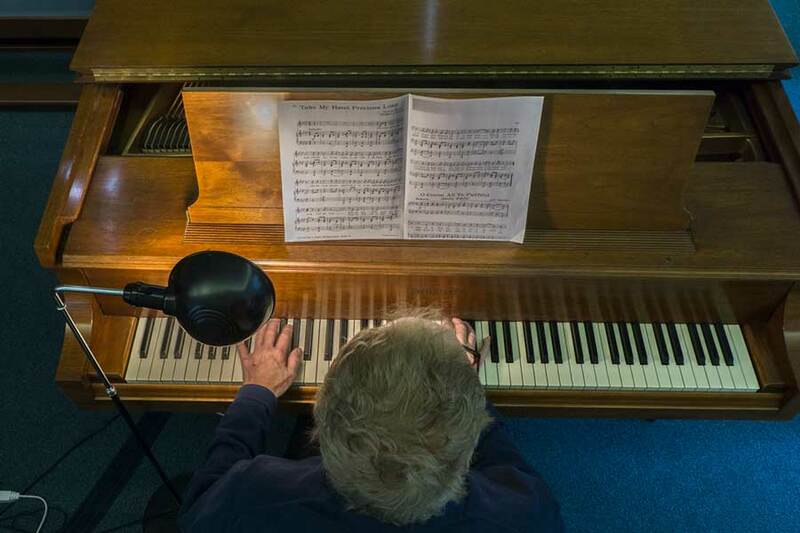 You might hear a harmonica virtuoso playing an original composition or Meeting keyboardist Michael Greene performing a familiar tune from the American songbook. There’s even a ukulele ensemble, or ukestra. While silence is a meaningful part of worship at New Garden Friends Meeting, there’s also reverence for the joyful noise called music. 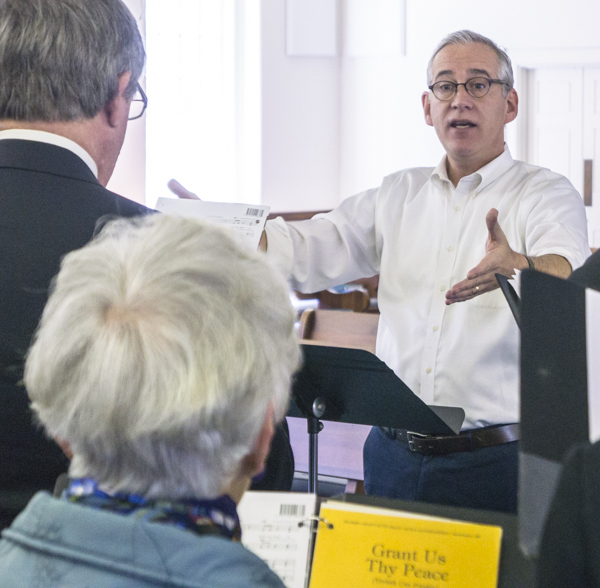 New Garden’s choirs (adult and children’s) are led by Marc Alley, music director. Adult choir practice is at 6 p.m. Wednesday night in Room 121. “He Is The Rock,” performed by the Adult Choir on April 15, 2018. Directed by Marc Alley. The Peace & Love Ukestra usually performs several times during the course of the year. The Children's Choir performs with and without instruments.